For the past several years, I have faced and tried to deal with health issues, both limiting and life shortening. In 2000, I broke my right femur while walking a precinct during an election year. After a few months of recovery, when descending the stairs at home, I felt – and probably looked – like a crab going down. I asked my surgeon if I had lost a couple inches on one leg because it felt like one leg wasn’t long enough. He said no way. Then, since about 2012, I couldn’t walk a distance without experiencing excruciating pain in my lower right back. In 2009, I fainted at the Torrance main library just before a program that the JAHSSC (Japanese American Historical Society of Southern California) was presenting, hitting my head – “bouncing” as described by one person. I was in ER the whole weekend while they ran all the usual tests because my dizziness wouldn’t go away. It was finally diagnosed as vertigo. Even after the vertigo was dealt with, for months and years, I continued to have lightheadedness and fainted a couple more times. The neurologist said it was due to dehydration, and, then, finally, a year ago, he prescribed the generic for Ativan, an anti-depressant, to be taken with each episode. Around 2011, I was diagnosed with chronic kidney disease (CKD), which is incurable and irreversible. During recent online research, I discovered lightheadedness to be a symptom of CKD – but, so it is of many health problems. The difficulty I have found is that referrals to specialists is the norm, but specialists deal only in their disciplines and do not connect the dots to other parts of the body, adding to the frustration of non-answers and – usually – prescriptions for medications that don’t solve the problem. Then, the turning point in my medical journey occurred in October 2014 at the final program of the JAHSSC, which was disbanding. Elaine Takahashi and Aileen Toshiyuki attended because of their connections while working at UCLA to Glenn Omatsu, one of the panelists. We met up later because they wanted to purchase copies of “Nanka Nikkei Voices.” Over lunch, Elaine and I shared stories of our health issues. It turned out Elaine was well-versed in CAM, the acronym for Complementary Alternative Medicine. She said our community – all communities – could use workshops or a seminar on CAM. I offered to help set one up. CAM was a new term for me. I was familiar with the concept but didn’t know it had a name. CAM refers to the methods used by Eastern medicine; that is, natural healing versus the Western approach to immediately prescribe chemically produced medications. Western medicine has long disdained the Eastern practices of chiropractic, acupuncture, herbal medicines, etc., as quackery. Elaine has battled her issues, mainly cancer, for over 20 years with positive results through various CAM. Mike also does acupuncture and, additionally, EMS or electrical muscle stimulator. It was my first experience with all of this. I had never imagined having needles stuck in me, but Mike uses the gentle Japanese method, so there is no pain. After two sessions, I no longer experienced the lower back pain. Mike works on my lightheadedness at every session, using both chiropractic and acupuncture – acupuncture on the kidney points in my leg. My episodes have decreased in frequency but still occur, so I expect it will be for the long term since it is a symptom of the CKD. I am in Stage 4. My goal is to stay at stage 4 – otherwise I face dialysis in Stage 5 with a shortened life. Unlike the back issue, my treatments for my kidneys are long-term and really indefinable, except if my blood tests remain stable, I can likely assume it’s helping. Elaine and I are co-chairing the forum, with the same title at the heading of this article, on Sunday, March 6, 1 to 4 p.m., at the Gardena Valley Japanese Cultural Institute. Elaine, before retirement, was the administrative manager at UCLA’s Biomedical Library for 26 years. She will moderate the panel with the following four panelists. Cheryl Abe, MSW, LCSW, clinical social worker from UCLA Oncology Center, has been a social worker in health care for 36 years. Since 1984 she has offered guidance and support to adults with cancer and their families at the UCLA Oncology Center. These methods include modified yoga in-bed movement/restorative poses, breath awareness, guided meditation, reiki therapy and aromatherapy. Cheryl will share how her experiences as an UZIT therapist convinced her of the importance of complementary medicine in health care. 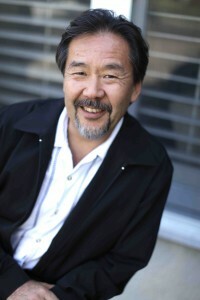 Michael Yanagita, D.C., L.Ac., graduated from Cleveland Chiropractic College-Los Angeles in 1983 and Samra University of Oriental Medicine in 1999. He practices both chiropractic and acupuncture and the modalities that go along with each profession such as moxabustion, cupping, herbal medicine, and physiotherapy techniques of ultrasound and electrical muscle stimulation. He tends to be pragmatic in his approach and utilize whatever technique is best suited for the particular situation. He feels that chiropractic is best for external or musculoskeletal imbalances and acupuncture for more internal imbalances. Most issues arise from imbalances in our lifestyles, diet, exercise (or lack of), and work styles. He believes the body is made to move, movement is life, and in our computer-age society we have many new issues that plague our society today that did not plague our parents’ generation. He thinks everyone can use a little guidance to create a healthier life for oneself and people around them. Dr. Miyoshi Hirano, a second-generation acupuncturist, has practiced and taught for more than 15 years in the healing arts. She completed acupuncture rotations at the UCLA Student Health Center and the Good Samaritan Hospital of Los Angeles Stroke Rehabilitation Ward, followed by advanced training at Shu Guang Hospital in Shanghai, China. 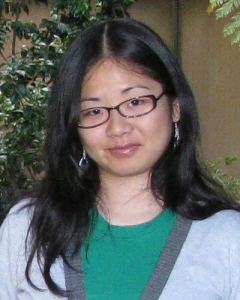 In addition, she has conducted six years of research at UCLA for National Institutes of Health (NIH) studies in irritable bowel syndrome (IBS) and fibromyalgia. Dr. Hirano brings depth to the clinic as an acupuncturist. She has expertise in pre/post-surgical care, orthopedics, pediatrics, women’s health, facial rejuvenation, pain management and treatment for psycho-somatic disorders triggered by stress, anxiety and depression. Dr. Hirano’s therapies are tailored to each patient and may include acupuncture, electro-acupuncture, nutrition, herbal medicine, Anmo-Tuina, proprioceptive myofascial release, lifestyle counseling, energetic healing, posture and movement consultations, exercises, and visualization and meditation techniques. Dr. Hirano and her father represent a stronger force integrating Western and Eastern health modalities and science under one roof. 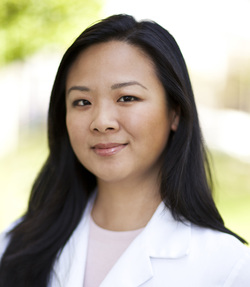 She shares her time at the California Hand Institute in Pasadena and the Hirano Acupuncture Clinic in Glendale. Lori Tagawa is the Community Outreach Coordinator for the National Network of Libraries of Medicine, Pacific Southwest Region (NN/LM PSR) at the UCLA Louise M. Darling Biomedical Library. 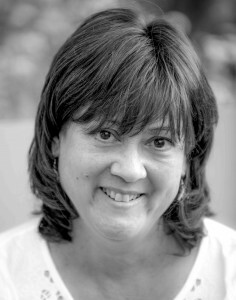 In this position, Lori focuses on improving the public’s access to trustworthy health information by developing regional programs with community-based organizations and public health departments in California, Arizona, Nevada, Hawaii, and the U.S. Pacific Territories. During this session, she will discuss patient self-advocacy through use of online health information resources from the National Library of Medicine (NLM), the National Center for Complementary and Integrative Health (NCCIH), and local health partners. Iku Kiriyama is a retired educator and a community volunteer. Opinions expressed are not necessarily those of The Rafu Shimpo. Great and inspiring article. I wish all the best for the author to recover from her health challenges.